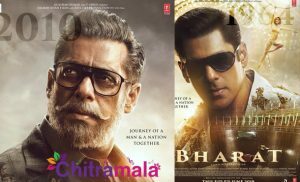 Multi Starrers are so common in Bollywood and actors never hesitate to play the role if they find the given interesting and the subject promising. Many actors in the past has done that and achieved box office success. Two senior most stars are coming together for a comedy yet emotional film which is directed by Umesh Shukla, who directed Oh My God, previously. 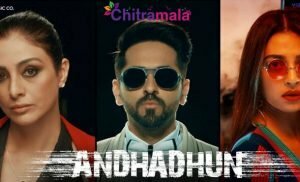 He is again inspired by a play after Oh My god and the two stars Amitabh Bachchan and Rishi Kapoor are coming together for this film after some odd twenty years and this combo and promos have already created enough ripples in the curious minds of movie buffs and let’s see how it works on us as it is released into theatres today. Dattatreya Vakharia (Amitabh Bachchan) is a old man who is in a motive to outlive the longest living man and get the record on his name. To do so, he seems it uninteresting and uninspiring to live around boring, sad and somber people like his own son Babulal Vakharia (Rishi Kapoor) who is 75 years old. To get rid of those negative and boring moments Dattatreya Vakharia decides to send his son to an old age home. But Babulal Vakharia is unfit to adjust in any place than his home and he gets challenged to be in his home. How he is back in his home? Is the motive of Dattatreya Vakharia fulfilled? Amitabh Bachchan, as Dattatreya Vakharia is fantabulous. He is so funny and also emotional when time comes. He carried the shades and emotions of his role so effortlessly that we find it very difficult to imagine some other actor in the role. Rishi Kapoor as Babulal is more of a serious kind of and he too is superb in his role. The father-son duo has worked out very well. All other actors performed according to their given roles. Story of 102 Not Out is simple and an emotional one. Screenplay is well written so as dialogues. Songs composed by Salim-Sulaiman are good to hear. The background score of this movie is much effective and it elevated the emotions well. Cinematography by Lakshman Utekar is nice and editing by Bodhaditya Banarjee clearly helped the movie and it’s pace. Art department has done good job and production values are rich. 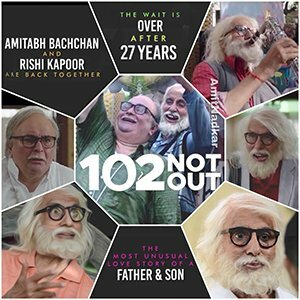 102 Not Out is a film that happens between generations i.e. father and a son. What happens when a father who is as young as a kid in mind meet a son who is full of outdated and conservative mindset. Director Umesh Shukla who is inspired by a play written by Saumya Joshi focussed more on entertainment and emotions. He had not opted for some out of the box moments or unique ideas to carry the emotion rather he just stick to the same old way of portraying emotions and he succeeded well to a good extent having two of the best actors to play the two most important characters. He handled the first half too good and he loses his touch in the second half where it slows down to some extent and also the scenes/dialogues become preachy. Umesh Shukla opted to make audience connect to the emotion and also he made sure that the scenes offer humor. The best thing about the movie is entertainment it offers with ever young Amitabh Bachchan and serious actor Rishi Kapoor. 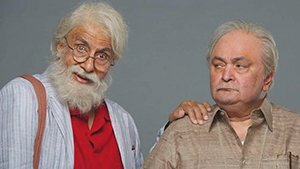 To sum up, 102 not out is what it’s trailer offers which is more entertainment and much more emotions which also carry subtle meanings.